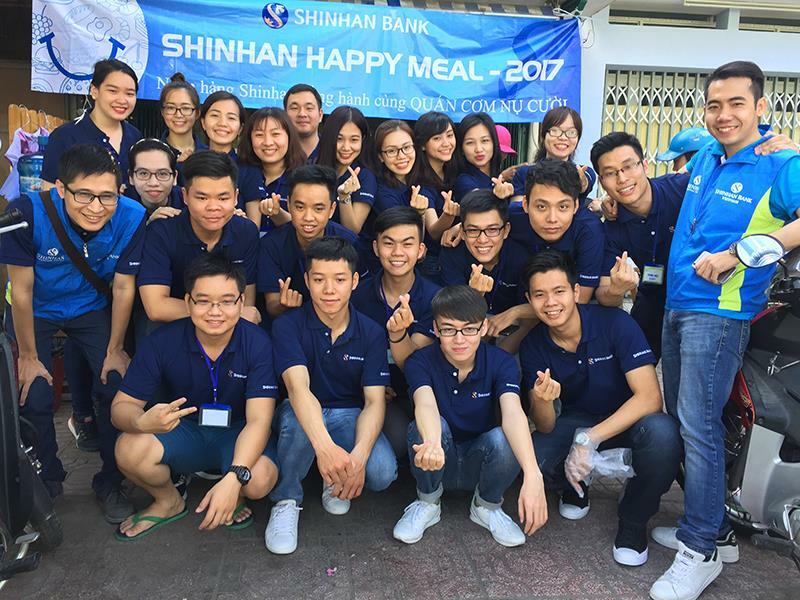 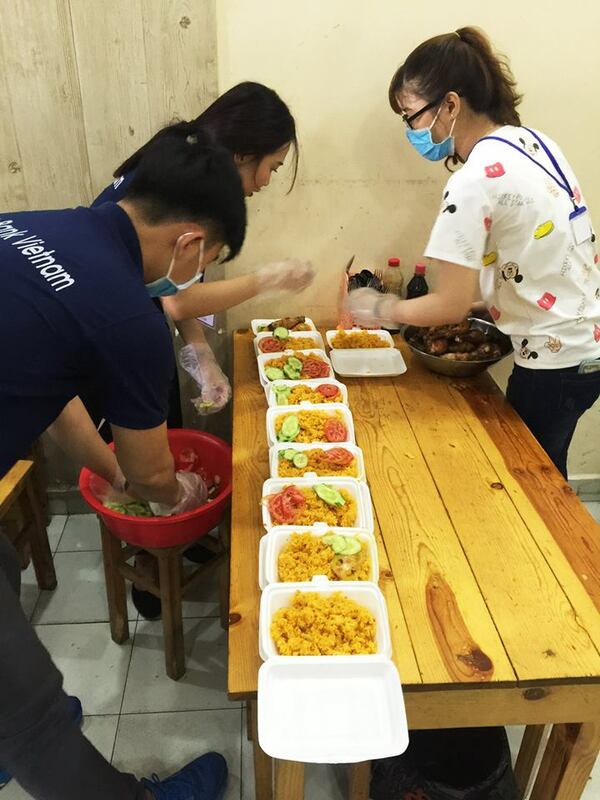 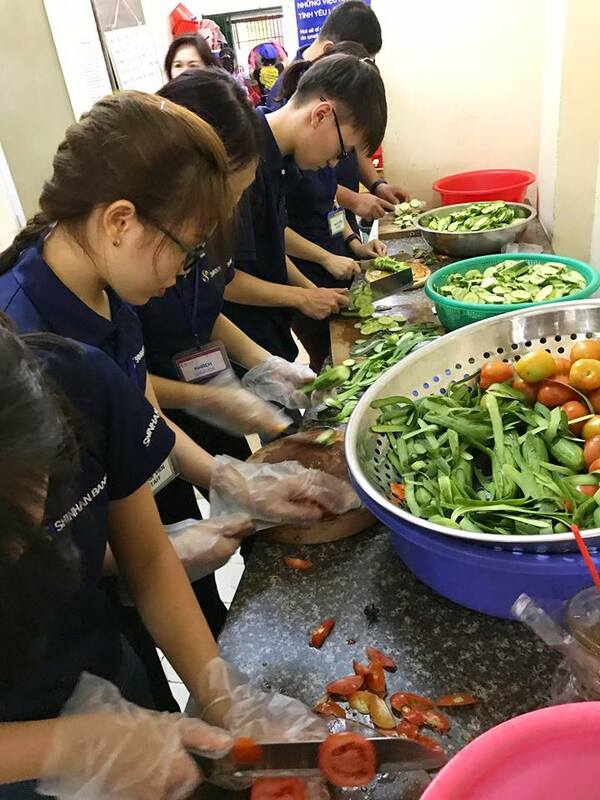 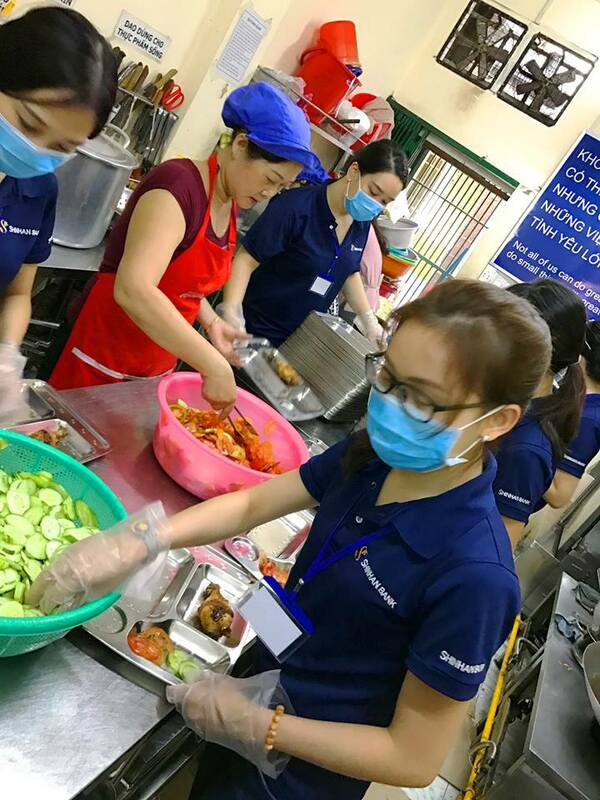 On Saturday 18/02/2017, Shinhan Fresh Bankers (*) 2017 have joined hands to serve two-thousand-dong meals for people with difficult situations at Nu Cuoi 4 Foodstall, Dist. 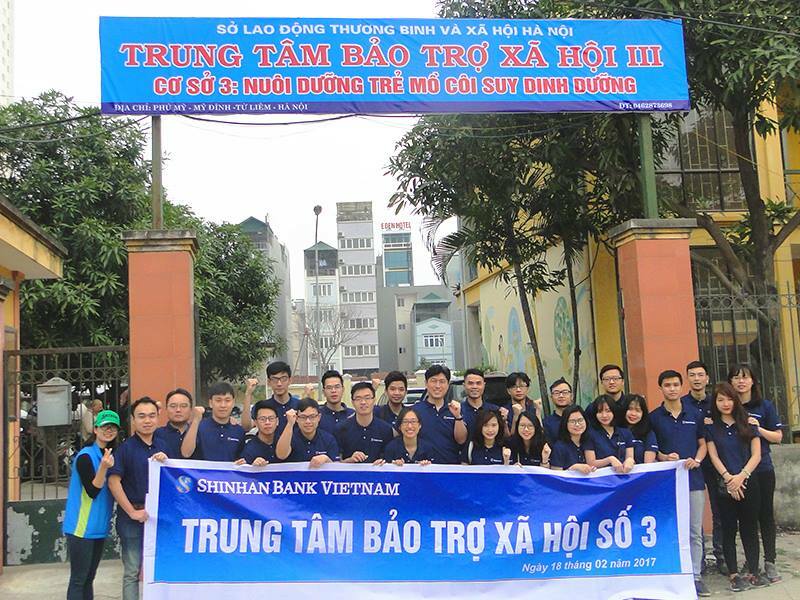 4, HCMC. 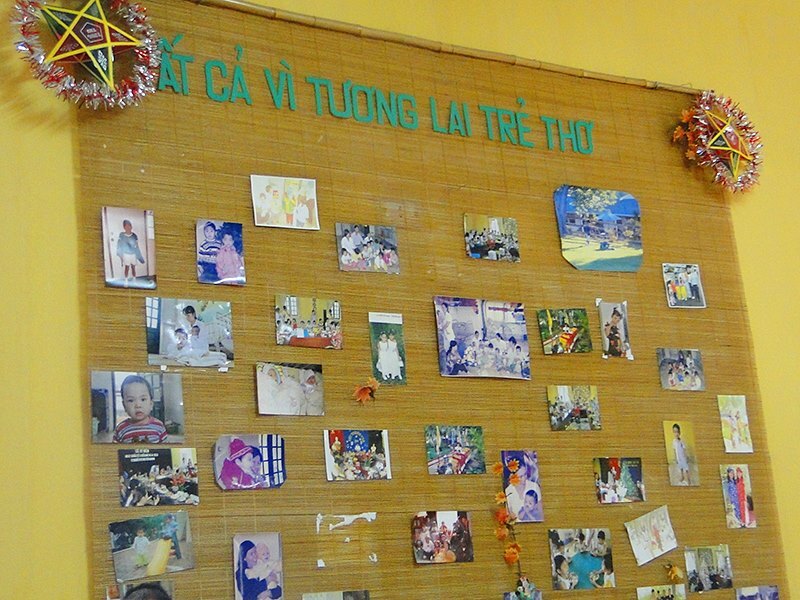 On this same day, in Hanoi, Center for Social Protection No. 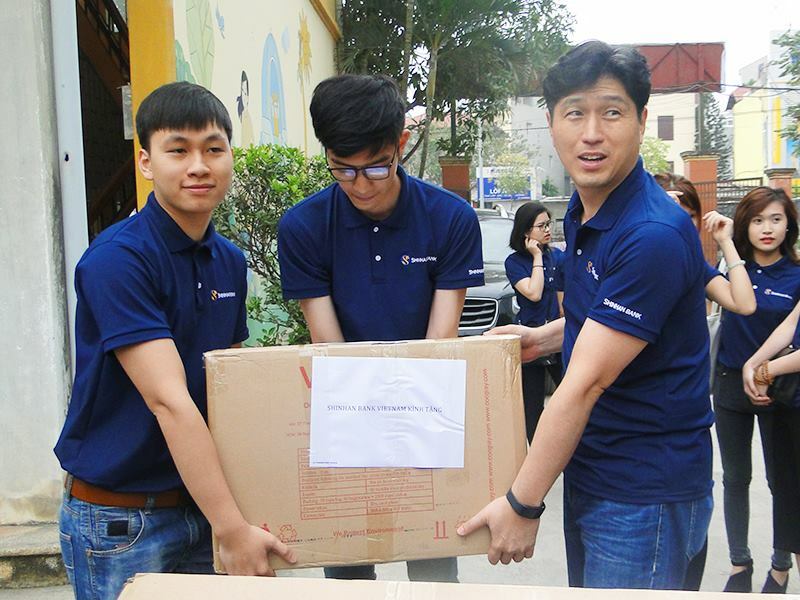 3 also welcomed companionship from Shinhan Bank when Fresh Bankers came to visit and give presents to orphan kids here. 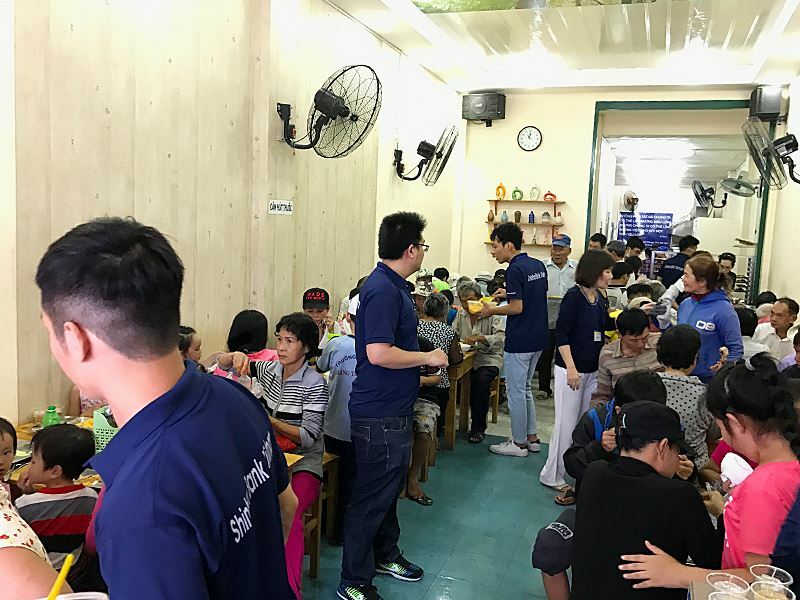 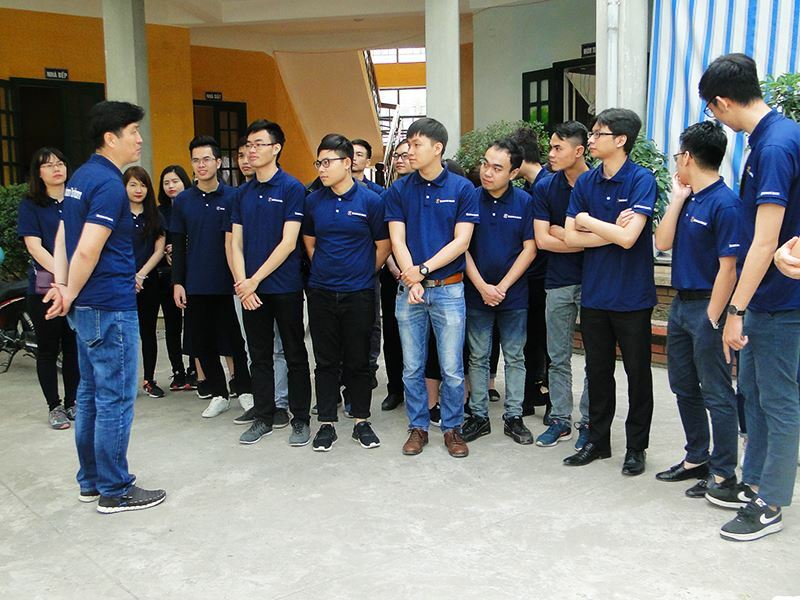 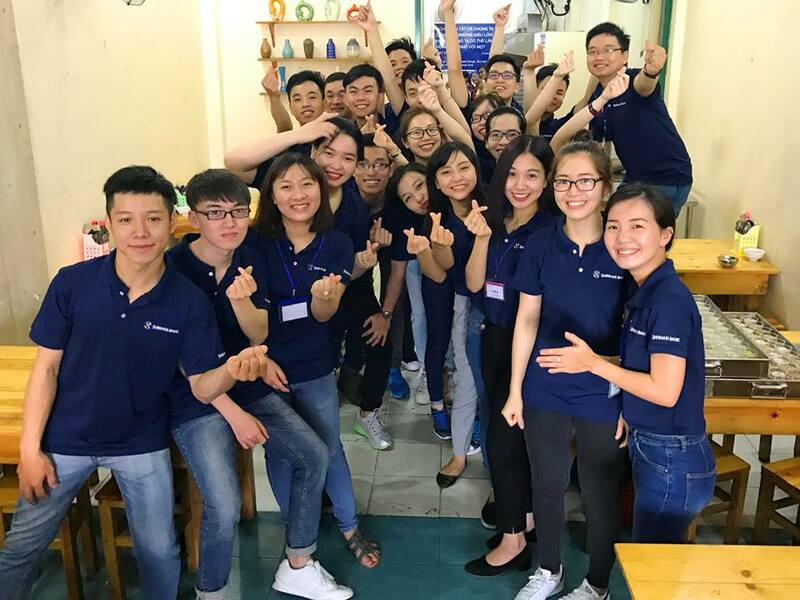 This is the first time Shinhan Fresh Bankers Second Generation got a chance to join charity activities held by Shinhan Bank to better understand community contribution culture of Shinhan Bank. 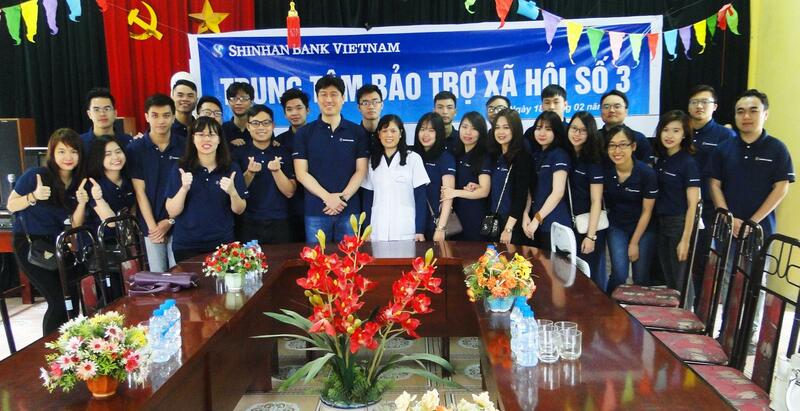 (*) Shinhan Fresh Bankers is a word used to mention newly graduates chosen by Shinhan Bank to become a future banker through thorough training series. 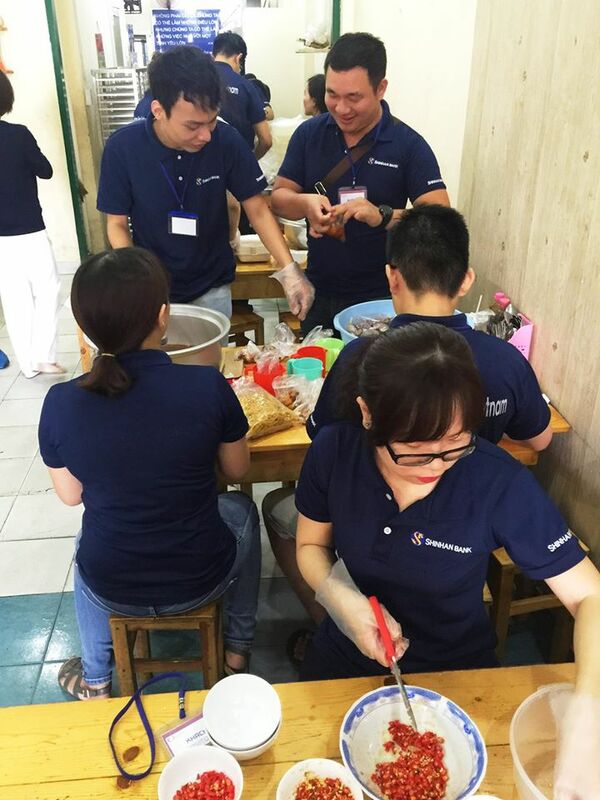 (**) Shinhanita is a friendly word used to mention Shinhan employees in general.